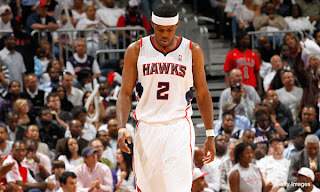 The Atlanta Hawk last season proved a lot of doubters wrong and are looking for the 2011-2012 season to be even better for them. If they are going to improve on last season they will do it without Jamal Crawford who signed with Portland. He will be missed by the Hawks, but they will just need to get contributions from others. One guy that will need to step up will be Jeff Teague on the offensive end. He plays good defense, but they need more from him on the offensive end. For Atlanta Joe Johnson will be the guy they count on in the clutch and when they need that winning shot. He should flourish with Crawford gone as he will get more shots. The frontline of the Hawks are solid and should give teams a lot of trouble. Atlanta has good depth and I look for the Hawks again to soar high this year. A well rested Tracy McGrady should give the Hawks instant offense off the bench as well. I look for the Hawks to be a major player come playoff time in 2012.